North East Alabama has a new music outlet you might want to consider! 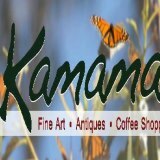 The Kamama Music Series is a production of Russell Gulley in partnership with host Ray Padgett at Kamama’s Fine Arts, Antiques and Coffee Shop in Mentone. The series features singer/songwriter, traditional, and roots music presented in a house concert format, every 1st and 3rd Thursdays of each month from 7PM till 9PM. Coming to Kamama Music Series on Dec. 6th… “A Very Blues Christmas” with Grammy Winner, Johnny Neel, formerly of the Allman Brothers. Looks like another sell out. Call 256-634-3001 for ticket info.